The Lowe's military discount is generously offered to all active, guard, reserve, veteran, honorably discharged, and retirees of the US armed forces and their immediate families. Lowe's extends their gratitude to all the men and women who currently serve or served in the US military by offering a 10% discount, every day, online and in their stores. 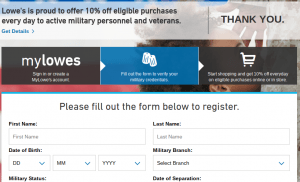 Who is Eligible for the Lowe's Military Discount? 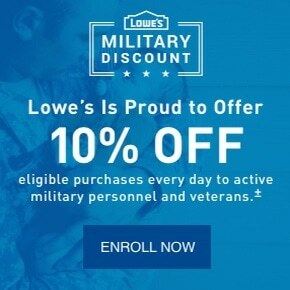 According to the Terms and Conditions on Lowes.com, any member of the US armed forces include active and reserve members of the US Army, US Navy, US Air Force, US Marine Corps, US Coast Guard, Air National Guard and the Army National Guard are eligible for the 10% every day discount. Immediate military family members can simply use the servicemember's phone number attached to the MyLowes account. 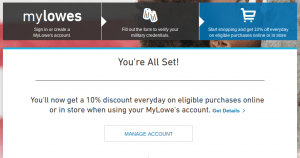 They can also use the MyLowes card at checkout online or in the store to access the 10% military discount. Immediate family members include spouses and dependent children up to 18 years of age. What If Lowe's Doesn't Give Me the Military Discount? Makes sure you confirm your military discount either online or at the customer service desk inside the store before you get the register. That way you won't have any issues getting your discount. How Does Lowe's Verify my Military Service? Lowe's uses the SheerID third party system to verify your military service. It's a trusted third-party service that instantly verifies your military service in 84% of cases. If you're not instantly verified, you may be required to upload a LES, DD-214, or other military ID. All copies are immediately deleted after verification. 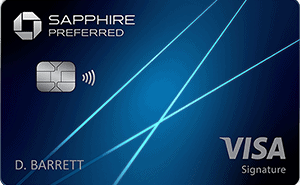 You can also verify your ID in store if the online system does not work. 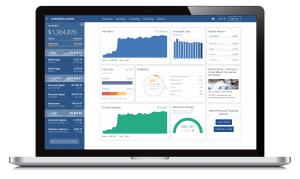 This is a great example of a company going above and beyond to help out US military servicemembers. Other companies that offer great military discounts include Microsoft ($10 Microsoft Office Professional 2016) and American Express (zero fees on all of their credit cards and charge cards). Save some cash on your home improvements with the 10% Lowe's military discount today. Sign up now!